IMAGES: Supernatural 10x19 "The Werther Project"
The CW teases that the April 22 episode will see Sam (Jared Padalecki) discovering that former Men of Letters, Magnus, once built a magical box, and sets out to find it in the hopes it can cure Dean (Jensen Ackles) of the Mark of Cain. However, what he’s not prepared for is the deadly alarm system Magnus set up on the box. When Sam opens the box, he puts both his and Dean’s life in danger. 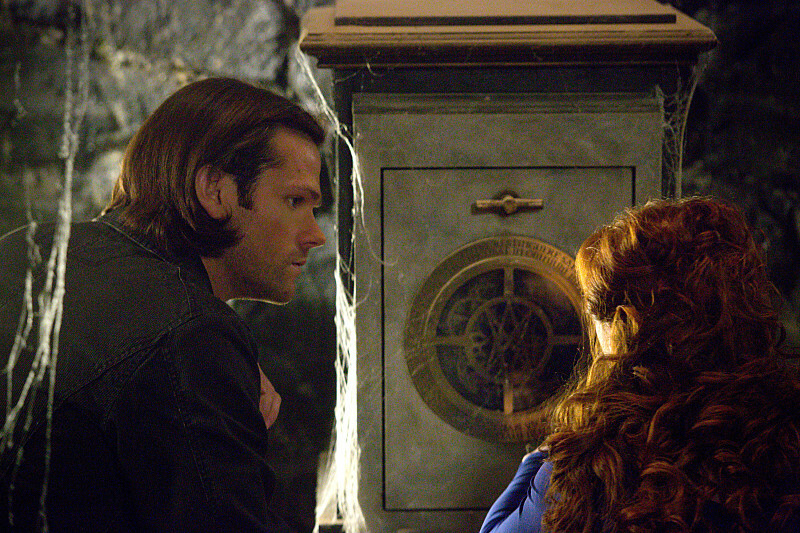 Supernatural -- "The Werther Project"
Supernatural -- "The Werther Project" -- Image SN1019B_0298 -- Pictured (L-R): Jared Padalecki as Sam and Ruth Connell as Rowena -- Photo: Liane Hentscher/The CW -- ÃÂ© 2015 The CW Network, LLC. All Rights Reserved.